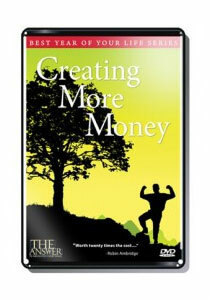 All of us desire to create more money. Whatever your personal goals are, everyone would like to have more monetary freedom because money is simply the tool we use to achieve our ideals. Creating More Money brings together four coaches from THE ANSWER To Absolutely Everything: Ray Blanchard, Cara Barker, Terry Tillman and Bettie Spruill, to continue their discussion about the nature of abundance and how wealth is attracted into our lives. Identify the negative beliefs that sabotage your financial success. Clarify your intentions and act on them consistently. Acknowledge everyday miracles as guideposts on the path to living abundantly. Create a network of support among family and friends.